Taylors brings you a world of wholesale decorative home accessories! Explore our 20,000 square foot World Trade Center showroom in Dallas and discover a different kind of market experience. Find the unique, the distinctive, the hottest trends today as we treat you to a level of personal service that has made Taylors a leader within the industry. Our experienced showroom sales professionals are dedicated to serving our buyers Monday through Friday year-round. A team of seasoned sales representatives serve retailers in the six-state Southwest territory. Taylors can't wait to tempt you! 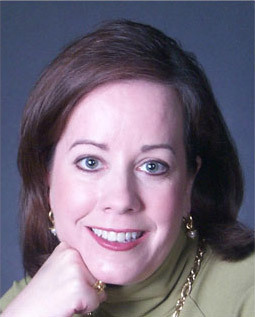 Jane E. Murray is a recognized leader in the home furnishings industry with more than 30 years' experience. When Jane purchased Taylors in 1997, the company had a well-established reputation, beginning with a 10th floor showroom in 1979. Taylors has expanded the showroom from 1300 sq. ft. to its current 20000 sq. ft. and 10 sales associates including an outside sales team serving the six-state Southwest territory. Prior to owning Taylors, Jane worked for the company 11 years, starting out as a sales representative and showroom manager, then as a multi-line independent rep, and finally to vice president for six years before purchasing the company. She has been actively involved in numerous professional and community activities, including serving as Dallas Market Center Decorative Accessories Board of Governors Vice Chairman, and as a member of the DMC Hard Goods Board Advisory Board. She has served on the University of North Texas Merchandising Board of Governors and the Downtown Dallas St. Patrick's Day Parade Board. She served as A.RT. National Conference Chairman, and on the ARTS Awards Committee. In addition she was the Education Committee Chair and on the A.R.T. Board of Directors. She has been named in the Top 50 Women Owned Businesses by The Dallas Business Journal for numerous years. In 2009 she was awarded the ART President's Award for service. Her passion for the industry is evident in this quote, "I believe strongly in hard work and service to our customers, factories and our communities." Katie Pokorski is a familiar face at Taylors. Katie has been with the company since 1993 when she was hired as a data entry specialist. She worked her way to Showroom Manager then Operations Manager and in March of 2007 was promoted to Vice President. Her responsibilities have been day-to-day management of the company, including technology, personnel, sales and marketing. As Vice President, Katie's responsibilities have grown to more vendor and outside sales rep relations. She is an active member of the DMC Design Floor Marketing Committee and has been on the DMC Total Home Task Force and a member of WithIt. She has also taken the industry involvement vision of the company by serving on the ART National Conference Committee. 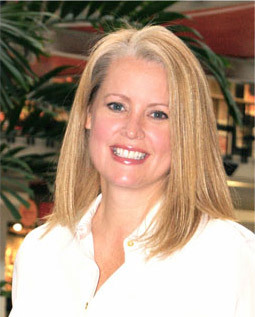 Katie has spearheaded Taylors involvement with ASID, of which Taylors is an Industry Partner.